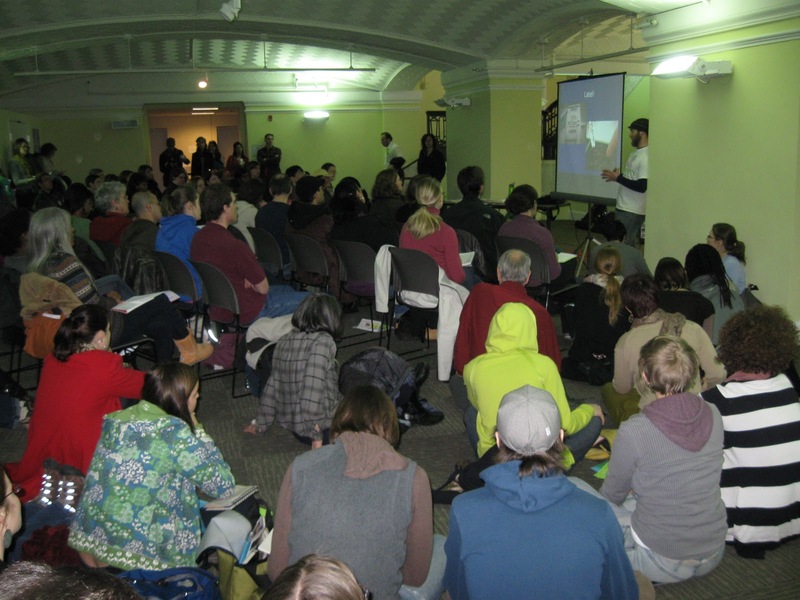 John Reinhardt (aka @GrownInTheCity) is an urban planner, writer, photographer, and urban gardener created this video from this past weekend's RootingDC 2011 Conference and gave his permission to share it with you all. Enjoy! I'm an "Expert Beekman Heirloom Gardener!" !! 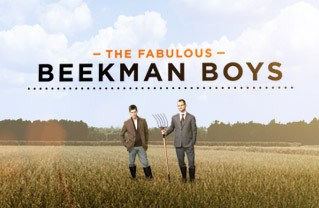 I'm a huge fan of the The Fabulous Beekman Boys show on Discovery's Planet Green channel. If you have never watched, I'd describe it as a cross between Green Acres and Queer Eye for the Straight Guy with a dash of David Sedaris-like wit thrown in. (Please do not ask me to explain who David Sedaris is, google him, listen to some of his NPR selections, you'll thank me.) Check their web site out here: Beekman1802.com. A second season of the show has been greenlighted and should be on the air soon. Meanwhile, I'm excited to be trialing their heirloom seed kit and connecting with other Beekman fans over at their guest blogger pages soon. 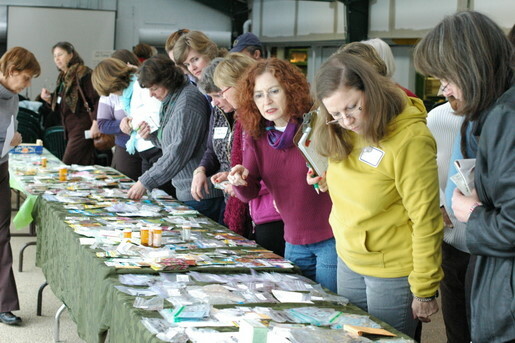 Here is another video from the recent Washington Gardener Magazine Seed Exchange in Maryland. This is Barbara Melera of D. Landreth Seed Company talking about 17th and 18th century heirloom flowers that you can start from seed in your garden. Garden Photo Contest Winners Announced! We had over 225 photo entries. These are the 17 winners they will be published in the Spring 2011 issue of Washington Gardener Magazine and in shown in a photo show display. As gorgeous as the images look online, the quality is even more stunning in print and in person. Where is Washington Gardener This Week? Friends of Sligo Creek annual meeting "Birthday Party and Open House"
Takoma Hort Club talk on the "U.S. Botanic Garden's National Garden"
Ecolocity DC talk "Preserving Bio-Diversity through Seed Saving"
Silver Spring Garden Club talk on "Meadowscaping in Urban & Suburban Spaces"
I'll be wearing my name badge and look forward to seeing you at one of these terrific, free, local gardening events. It is Feb 15 2011 - Garden Bloggers' Bloom Day - Zone 7 MD/DC. A very ugly January has left my garden beaten down and in tatters. Everything has a crust of salt and dust. A heavy ice-snow flattened most of my shrubs and grasses. It is wind-blown and weary. 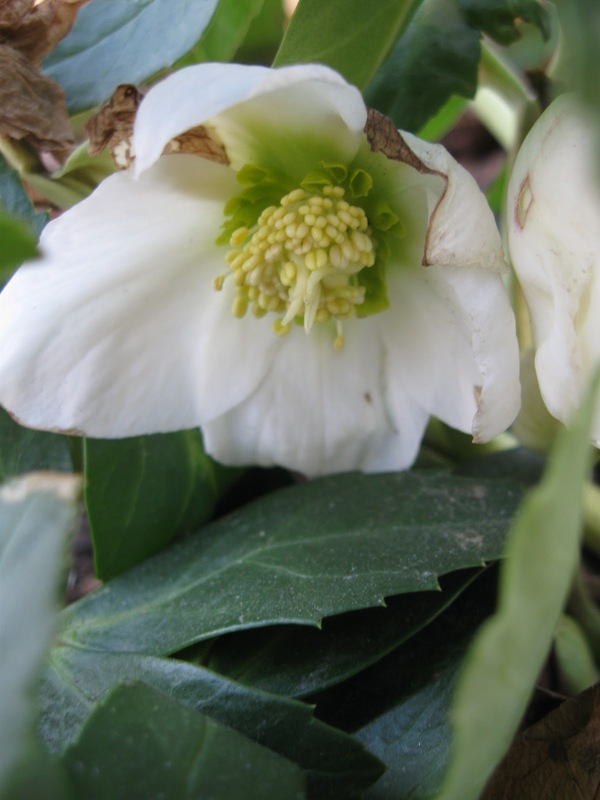 Still this hellebore managed to show some life and signs of spring's coming awakening are all around me. Bulb foliage popping up, leaf tips greening up, flower buds swelling. 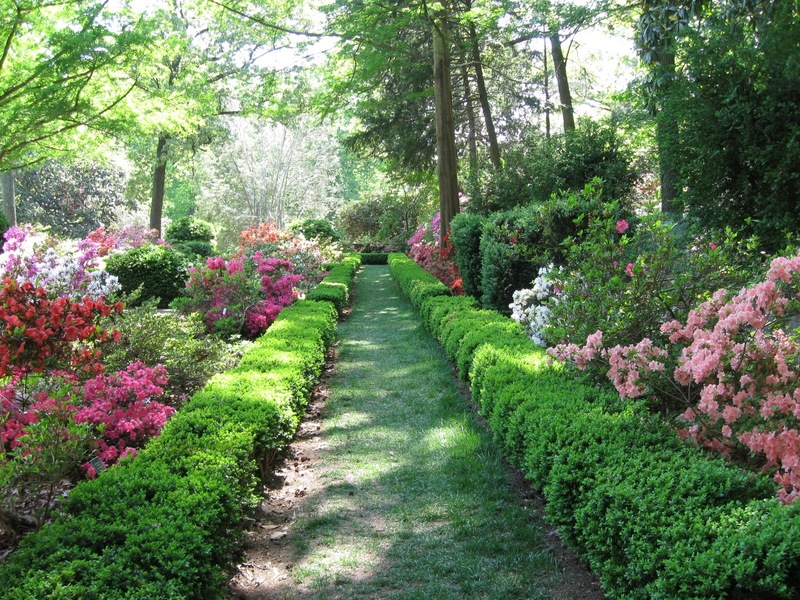 WASHINGTON, DC (February 14, 2011)—A $1 million donation to Friends of the National Arboretum (FONA) will establish an endowment to help preserve the Azalea and Boxwood Collections at the U.S. National Arboretum in Washington, D.C., the nonprofit organization announced today. FONA will launch a major fundraising campaign this spring to raise the additional $1 million needed to maintain the treasured collections into the future. The Azalea Collection has long been a landmark in Washington. The lesser known but nationally recognized Boxwood Collection is the most complete collection in the world. FONA’s announcement coincides with the Arboretum’s public statement that it is suspending an earlier decision to eliminate the collections, due to the loss of proceeds from a private trust. A final decision about the future of the collections will be made later this year. In her announcement, the Arboretum’s new director, Colien Hefferan, said: “FONA’s efforts in support of the Arboretum pave the way for us to work toward a new, vibrant future for this treasured place.” Dr. Hefferan said she is planning to meet with key stakeholders later this spring to discuss the future of the collections. The Arboretum is also soliciting feedback from the public through its Web site. Horticultural experts and groups including the Azalea Society of America, the American Boxwood Society, the American Daffodil, Hemerocallis and Rhododendron societies, along with Garden Club of America and National Garden Clubs Inc. galvanized community response and led strong opposition to the Arboretum’s earlier decision by creating a “Save the Azaleas” Web site and letter-writing campaign. The $1 million donation—the largest single donation in FONA’s history—was made anonymously by friends in honor of prominent attorney Brendan V. Sullivan Jr. and Lila Sullivan, longtime residents of the Washington area. “This generous donation, offered in the Arboretum’s hour of greatest need, reflects not only the donor’s passion for this national treasure, but also confidence that the Arboretum leadership will make sound decisions relating to the collections in the future,” said Kathy Horan, executive director of FONA. 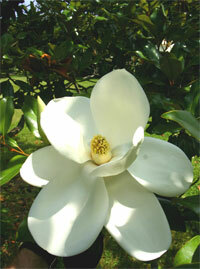 “In the short term, we hope to save the Azalea and Boxwood Collections. Over time, our broader goal is to work with the Arboretum and Department of Agriculture leadership to develop a plan for the long-term sustainability of the Arboretum,” Connelly said. In addition to the azaleas and boxwoods, the Arboretum houses other world-class gardens and collections including the National Bonsai & Penjing Museum and the Asian Collections which form a beautiful garden swath leading to the Anacostia River, as well as the Gotelli conifer collection, Fern Valley native plant collection with shaded paths and wooden walkways that seem a world away from the urban metropolis that surrounds the Arboretum, the two-and-a-half acre National Herb Garden and the Washington Youth Garden. Located 10 minutes from the U.S. Capitol, the National Arboretum is a U.S. Department of Agriculture research and education facility and a living museum. Admission is free. Founded in 1982, FONA supports research and educational projects at the Arboretum, as well as the gardens and collections. Over the years, FONA, NBF and their members, along with corporate partners, foundations and other stakeholders, have contributed millions of dollars in support of this 446-acre green space. 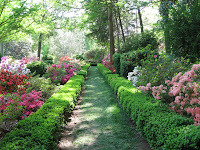 The U. S. National Arboretum is suspending actions to remove the Glenn Dale azaleas from our extensive collection of azaleas, as well as the National Boxwood Collection and Perennials Collection, subject to further discussions with stakeholders about the process and criteria for decisions about our collections. Although the resource challenges facing the Arboretum which initially led to these decisions are still very real and in need of solution, we want to reassess our current resource use and opportunities to expand private support before we reduce or eliminate collections the public so values. We have heard and appreciate the public outpouring of comments and concerns about deaccessioning the Glenn Dale azaleas and the boxwood and perennials collections. Managing resources through difficult times is challenging, but with the advice and guidance of our many stakeholders and colleagues we hope to develop an effective and well-understood policy for implementing decisions about our collections, as well as innovative approaches to developing new resources to sustain and support the Arboretum. Please share your ideas and recommendations regarding these issues by responding to the questions we have posted in a new comment box on this website here (http://www.usna.usda.gov/). We are eager to add your ideas to our decision-making processes. I took the photo at top last spring during the annual FONA Garden Fair, which always coincides with azalea bloom time, and is FONA's big fundraiser of the year. I propose we all celebrate this great news by pledging to attend the FONA Garden Fair this year (April 29-30) and making some serious purchases to show our support. Then, I propose everyone hike over to the azaleas, take photos, and share them on your own blog, Facebook pages, Twitter feeds, etc. to help spread the word on this national treasure. Two other great ways to show your support, join FONA (even if you are not in the DC area) and whenever you visit the Arboretum, stop by the USNA Arbor House gift shop and make a few purchases. The Home and Garden Show Season Begins! Washington Gardener Magazine has a booth at the MoCo Home Show (http://www.delmarvahomeshows.com/) this weekend -- February 12-13, 2011 -- at the Univ of Shady Grove Conference Center, Rockville, MD. Can't wait to see Vern Yip in person and get this home and garden show season started. Spring is coming - whoo hoo! Come by the booth to subscribe, renew, buy single copies of current and back issues. BONUS: If you come by and say you saw this blog post, I have a free seed pack of yummy lettuce for you. Washington Gardener Magazine has partnered again with Cheval Force Opp’s Garden Tours company to take local DC-MD-VA gardeners up to the Philadelphia Flower Show on Wednesday, March 9, 2011. What sets this tour apart from all the others? 8 Great Reasons! 1. We feed you! That's right, lunch is included on the way up as well as a hearty snack on the way back in case you were too busy flower-gazing at the show to stop and eat before the return trip. 2. We entertain you! We'll have garden-related DVDs to view, flower trivia contests, prizes for bests (dressed, on time, etc. ), and just plain silly games for your day off work. 3. We'll hold a lively show preview talk! Cheval and I will be at the show on Saturday for the press preview and get a behind-the-scenes tour with the show management. We'll pass on any tidbits we learn to you. 4. We are going up later and arriving later then all the other crack-of-dawn folks! That means you'll hit the exhibit hall when it is at its least crowded and have some time to sleep in on the morning of your day off. 5. We take care of the details! Cheval will be your acting "den mother" for the day and you can just concern yourself with all the great things you will see. You can leave the driving, directions, and parking hassles to our coach transport. We also provide you with a packet of show information so you can arrive ready to hit the Flower Show running. 6. We leave from a convenient location! Downtown Silver Spring's Starbucks on Ellsworth Drive is our start and stop point so you can take the metro, train, or metrobus to Silver Spring metro or have a friend drop you off or drive yourself and park in the many downtown parking garages surrounding Ellsworth Drive for the day. Many who live in the area can just walk or bike on down. 7. We let you pick your seat-mate! Yes, no worry of being stuck with some weird-o on the Greyhound or of getting separated from your friend. If you are traveling with someone and want to sit together, just let us know and we'll place you together in our handy seating chart. 8. We set a great price! Whether you go by train or drive yourself - by the time you add up all the costs (gas, toll, parking, meals, etc.) and the price of the show ticket, you'll see we are a terrific bargain. Not only that, but we are giving Washington Gardener subscribers $5 off our fee. And yes, you can sign up for the trip and subscribe to the magazine at the same time to get the discount. Complete registration information and form can be downloaded here. 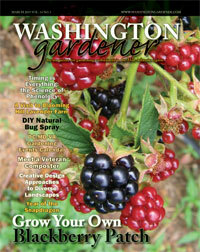 (It is also printed on the inside-front-cover of the Washington Gardener Winter 2010-11 issue.) Register soon as we are over half-full at this point and expect a sell-out. Potentially, we can add a second bus, but we'd need to do that in the next week or so. Are you guilty of loving your orchid TOO much? Over-watering or letting your water sit in water is one of the fastest ways to kill it. This was filmed last week as Tom Mirenda, Smithsonian orchid specialist, and I explored the new Orchid show at Natural History with WAMU Metro Connection producer Rebecca Sheir. The two Washington Gardener Magazine Seed Exchanges this year were both terrific successes. I want to thank all that had a hand in making them so wonderful. Thank YOU for your generous contributions to the goody bags and/or door prizes. And finally a big THANK YOU to all of our hard-working Seed Echange VOLUNTEERS! An extra special thank you to Drena J. Galarza for attending both events and taking all the fabulous ohotos you see here. Many more of her images will be shared on our Facebook page and in the event summary to be printed in the spring issue of Washington Gardener Magazine. Earlier this week, I taped a fun radio segment at the orchid exhibit at the Smithsonian's Natural History Museum. Listen to the "Amazing Epiphytes" segment on WAMU's Metro Connection show here. For the 18th year, the Smithsonian Gardens and the United States Botanic Garden are presenting their annual orchid exhibition, from Jan. 29 through April 24. Rebecca Sheir walks through the exhibit with two self-professed "orchid nerds": Washington Gardener Magazine's Kathy Jentz and the Smithsonian's Tom Mirenda. She learns about epiphytic orchids, which can hang in the air, so to speak, and still thrive. A photo gallery of some of the exhibit's orchids is posted here. Pictured here are Smithsonian orchid specialist Tom Mirenda and WAMU Metro Connection producer Rebecca Sheir. As of last night's count, I have 40 spaces left for the Green Spring Gardens location of our annual Washington Gardener Seed Exchange this Saturday, 2/5. To guarantee a spot at either event, you can call Green Spring at 703-642-5173 to register with a credit card or overnight /deliver your registration to Washington Gardener Magazine's Silver Spring, MD, headquarters by Friday evening. Or come to Green Spring Gardens on Saturday at 12noon to register on-site. It will be first-come, first-serve. Once we are full, that is it. You can speed things up by printing out the registration form from here and bringing it filled in already with your payment. Please do NOT bring large quantities of seed in one bag. Our volunteers are over-whelmed at the check-in tables already with sorting seeds into table categories, please break them up into smaller quantity packs ahead of time or we will not be able to put them out. ~ We recommend eating lunch before coming. We will be serving a healthy, light snack break mid-way through the event -- fruit, granola bars, etc. We have spring water - if you have a travel mug, bottle, or cup with lid you like, please bring that to fill up. We will have some plastic/paper cups on hand, but are trying to keep this event as “green” as possible and cannot allow open containers in the room with the seeds as an accidental spill would be devastating. ~ We will give away a prize for the most creative name tags :-). Please make a name tag or recycle one from another event. If you do not bring one, we will have generic blank name tags on-hand. Again, we are trying to recycle and make this event as eco-friendly as possible. ~ When you get your goody bag at check-in, please make sure to label it with your name -- all the bags look alike and can get easily mixed up. Bringing a few sheets of those personalized address labels you get with charity mailings will come in handy for this and for labeling your seed packets, giving out your contact information to fellow gardeners, etc. ~ If you are bringing seed catalogs for our give-away, catalog recycling table, be sure to rip off the address labels and tear out any order insert with your personal information on any seed/garden catalogs you bring in. ~ We screen incoming seeds and do not accept any invasives listed in the "Plant Invaders of Mid-Atlantic Natural Areas" booklet from the National Park Service. So please check your seeds against the invasive listing at: http://www.nps.gov/plants/alien/pubs/midatlantic/toc.htm. ~ Bring extra seed envelopes/baggies, in case you want to break up a bigger seed bag/pack or share with another attendee. 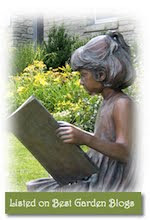 ~ We have a Show & Tell portion of the schedule and participation is strictly voluntary. We encourage you to introduce yourself, share some fun facts and background on the seeds you bring, or tell us about any local garden projects or garden-related groups which you are involved in. You can also use this time for special requests for any particular seeds you have been seeking. You may want to jot down some speaking points before the event. We will be in the Horticulture Center in the Main Auditorium. We are determined to still hold it as planned on Saturday. If there is a bit of snow, we'll ignore it and carry on. If it is a real blizzard and we have to change things, we'll send out an email to those who are pre-registered and post to this blog by 10am to alert folks IF anything changes. Again, we’ll make the decision by 10am so check in after 10am, if there is any question about the weather. No note from us means we are still on as planned. Our winner of the January 2010 Washington Gardener Magazine Reader Contest is winner is Ellen Johnson. She was cosen at random among our entrants who sent in their "Signs of Spring" that they saw in their DC-area gardens. Ellen receives a $70 gift certificate for CSN Stores. CSN Stores has over 200 online stores where you can find everything from stylish furniture, leather messenger bags, or great cookware. CSN (http://www.csnstores.com/) has a patio and garden section that includes decor, outdoor furniture, storage, heating, and lighting. Signs of spring in my yard: the buds on my maple tree are just beginning to swell. The only sign of spring I can see are swollen buds on the witch hazel (Hamamelis x intermedia "Jelena". It should start blooming soon. It's the first thing to bloom each year, much earlier than crocus. I have a few tulips popping up already (although I'm worried they poked out too soon)! Signs of spring in my garden are the big fat buds on the dogwoods...can't wait. It's such a thrill every year - but especially today when everything is covered in ice. Signs of spring in my garden? Indoors, my Phalaenopsis is blooming, and outdoors at Mr. Yogato, my fall-blooming Crocus' leaves are peaking out from under the leaf-litter mulch. Not much else going on quite yet! I have posted a Facebook album of "Sings of Spring" in my own garden that were taken today. What signs of spring are YOU seeing in your garden? Montgomery County Master Gardener Mary McKnight gives tips on the Salad Table/Salad Box project at last weekend's Washington Gardener Magazine Seed Exchange in Maryland. Our Virginia Seed Exchange takes place this Saturday and there are still spaces if you'd like to join us. Find out full Seed Exchange details here.